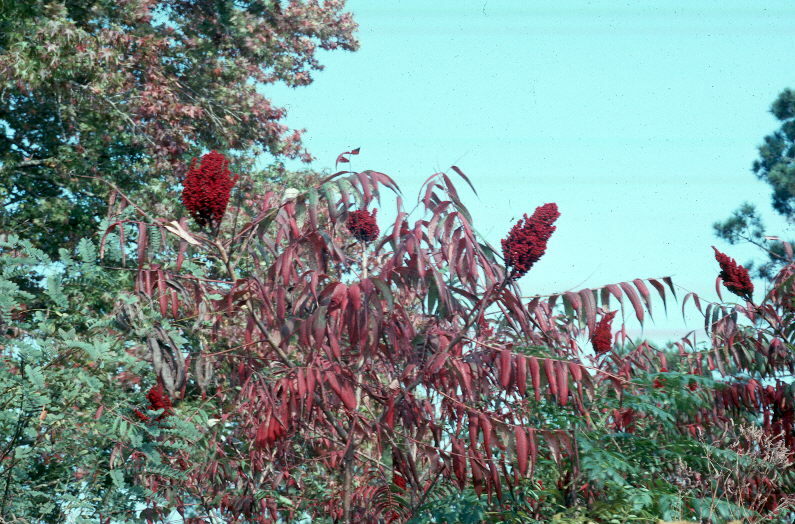 Comments: This sumac is more shrublike than many and the form is an open, spreading canopy. It grows over much of the U.S. As with the other species, this one also has brilliant autumn color with tall panicles of red berries persisting into the winter. The leaf margins are serrated. It grows in open fields, along roadsides, and other disturbed sites. The fruit is attractive to wildlife.